October is now behind us, our beloved hour has returned, and November is moving in. This can only mean that Fall and the upcoming Winter holidays are officially in full swing! Meanwhile, New York has been blessed by some unseasonably warmer weather recently and I’m definitely not complaining! 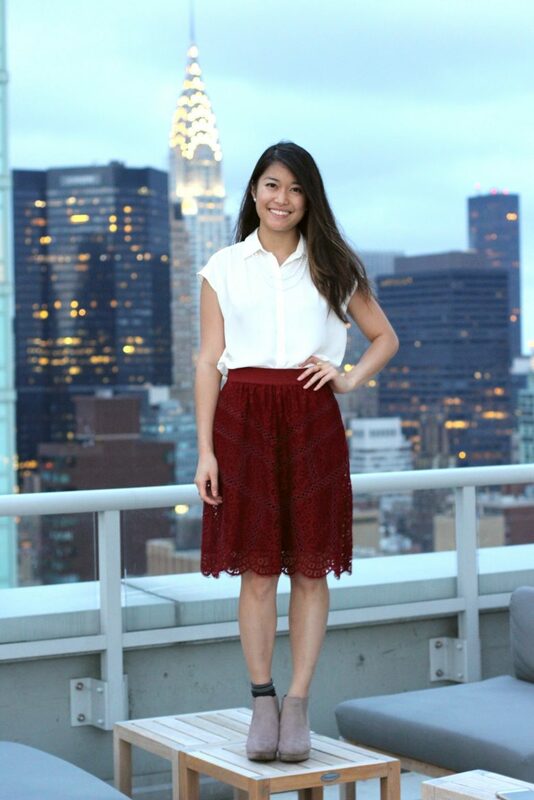 Skirts and bare legs aren’t the usually the go-to combo this time of year, but with 70 in November? I’ll take it! 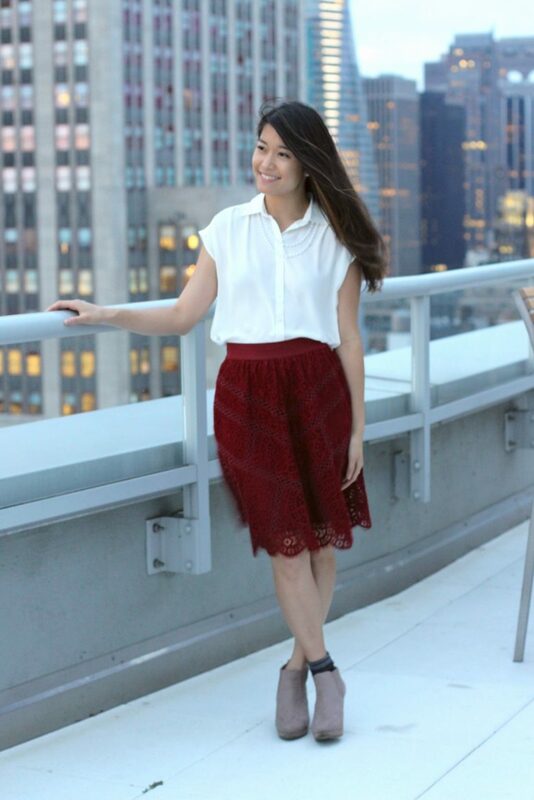 I’m smitten with this bright ruby red lace skirt—the color’s brilliance is unfortunately not obvious in these pictures, but that’s the cost of snapping rooftop shots at dusk. 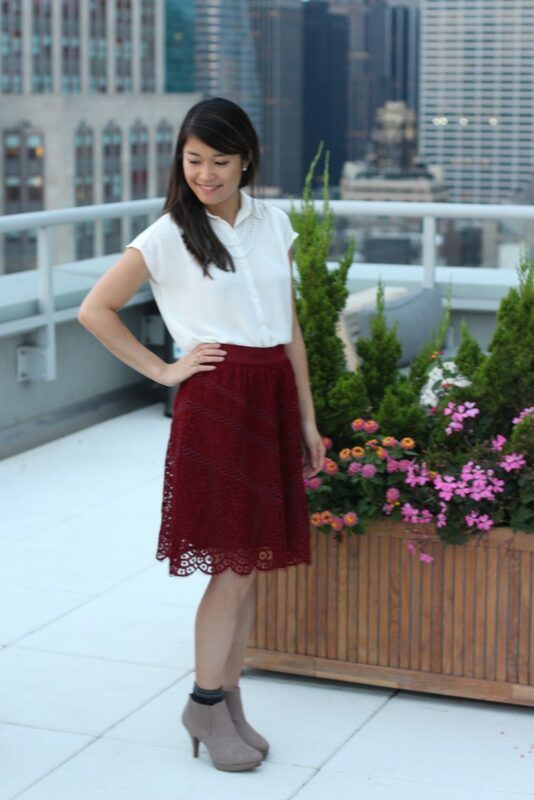 This deep ruby red is a perfect color for Fall, but it can also double for a just as perfect holiday skirt as its lacy template really elevates the look! I’m already planning to pull this out for holiday parties in the near future. Taking advantage of what’s left of the warm weather, I complemented this skirt with heeled suede booties and a simple chiffon blouse.